A study conducted by scientists at Uppsala University in Sweden has found fish larvae feeding on microplastic particles instead of zooplanktons, their natural source of food. Experts feel that the changing feeding pattern of young fish will directly harm the food chain as the larvae consuming microplastics has high mortality rate, which will affect their population. Fish reared on microplastics had reduced hatching rate and displayed abnormal behaviour. These fish were found with low anti-predatorory response than those fish which were not exposed to microplastics. This is a warning signal, experts feel. If this continues, it will be difficult to sustain the global fish population. Feeding on plastics by marine animals is not a new thing. A research conducted on blue mussels has shown that microplastics enter their circulatory system and can remain there for over 48 hours, causing severe immunological response in these molluscs. 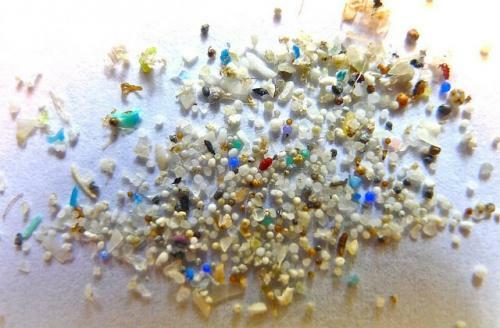 Research shows that microplastic concentration is increasing in the oceans. Microplastics are plastic fragments smaller than 5 millimetres in size and generally accumulate after disposal of plastic products.